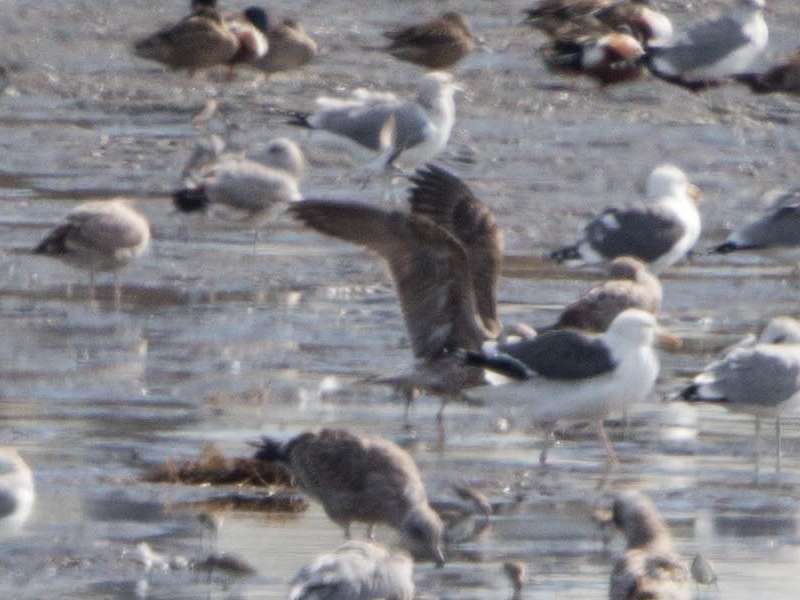 [All photographs copyright, Gary Nunn 2015] – This first cycle Lesser Black-backed Gull Larus fuscus was discovered by Jim Pawlicki at the J Street mudflats viewed from Bayfront Park, Chula Vista this morning 06 December 2015. By coincidence I had just arrived there and was busy scanning the assembled gulls from the west side. 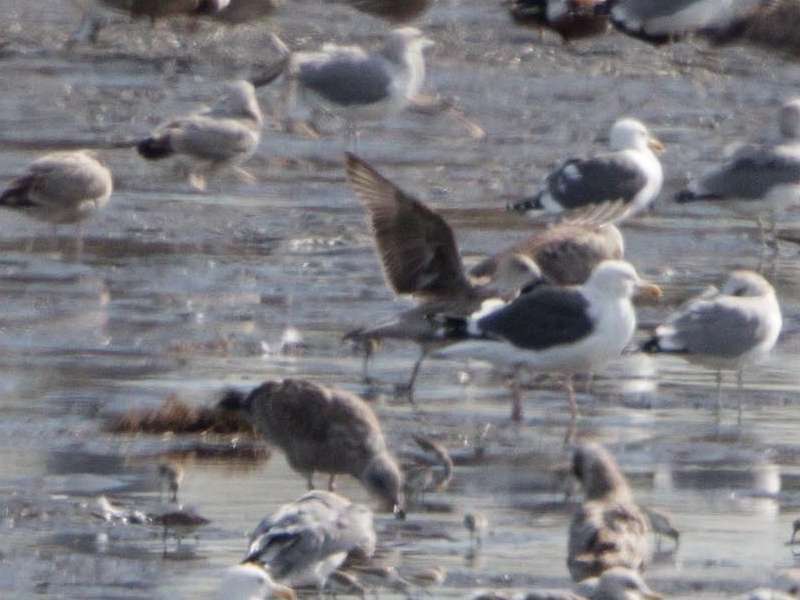 Jim had spotted the gull scanning from the east side of the mudflats! It was sitting out in the glare and eventually I relocated back to the west viewpoint and took some very distant photographs with the 1000mm lens setup on the Canon 1Dx. The lighting at least allowed the long black bill and plumage coloration to be seen better. 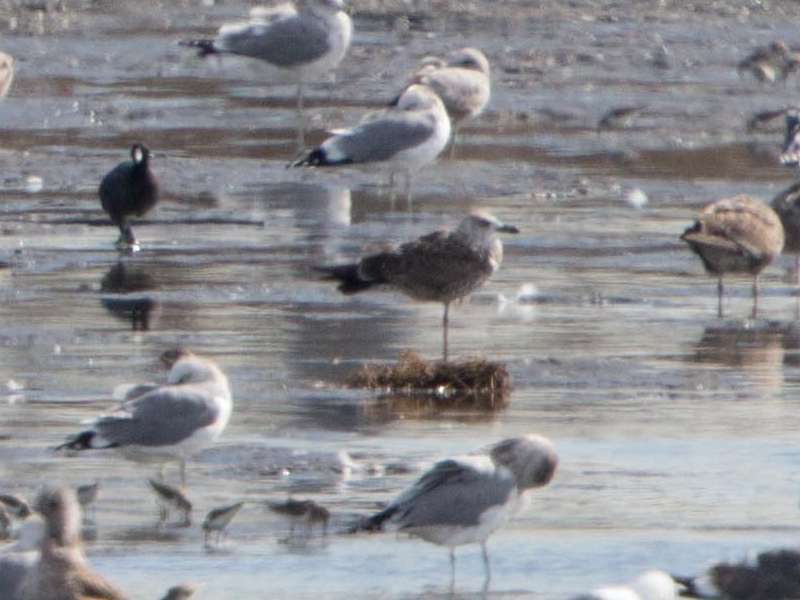 This appears to be the same bird first discovered by Matt Sadowski at the Tijuana River mouth, Imperial Beach back on November 24, 2015. On several occasions we watched it limping and unable to walk on its left leg matching Matt’s observations of the bird seen at the river mouth. 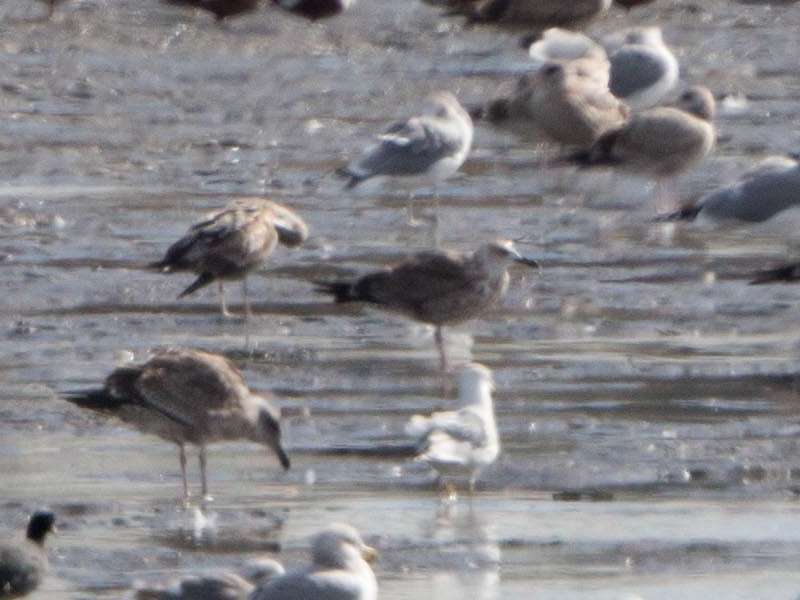 A slim profiled gull in between Ring-billed Gull and California Gull in size. The dusky blackish brown remiges project a long way accentuating the long slim looking profile. The sloped whitish head and prominent black quite long bill are characteristic. Viewed through a field scope the pale upper tail coverts were dark peppered and the tail and upperwings darkly colored.